JBL Link 500 is rated 4.5 out of 5 by 24. Rated 5 out of 5 by JBL junky from Wow!!! Incredible sound I bought this 3 weeks ago an I am so impressed. Great sound. 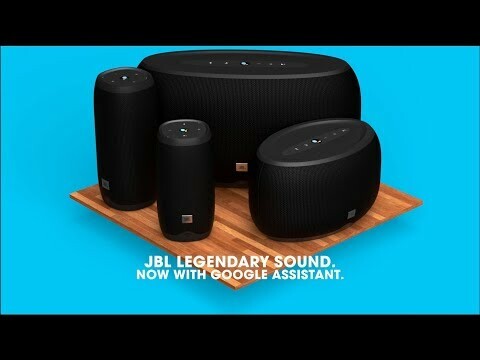 Rated 5 out of 5 by Dad of 7 from Love the link 500 I have a few of the jbl link products the link 10, 20 and 300 and love them. The link speakers sound great. I have the right size speakers for the respective rooms problem is the the kids love the speakers also and keep moving them around and taking them with them. I purchase the link 500 to replace 2 link 20 in the family room. The 500 sounds great it fills the room pluse you can hear it on the back deck with the windows open. Being that it’s a bigger speaker the kids dont move it around so the speaker is always available. The whole family uses this speaker every day and we have a big family 6 kids and all there friends. Rated 5 out of 5 by Jean63 from I bought this 3 weeks ago and I enjoy it so much. It is as good as google max or better. Rated 5 out of 5 by Losman from Overall great Bought for my kitchen. It rocks. Google is a bonus. Recommend if your a music fan like me. Rated 5 out of 5 by Dogsnif from You have to get one! My first impression upon taking the Link 500 out of the box was how large it is - it is bigger than it looks in pictures and is fairly hefty. That was a good sign for me! I placed the speaker on a table behind one of the den chairs - so it is essentially out of sight (a wife requirement). Setting it up from there was easy. I plugged it in, downloaded the Google Home app*, followed the app's instructions, and that was it. It only took 2 or 3 minutes. (*Actually, I had already downloaded the Google Home app for use with a Chromecast Audio I had purchased previously.) Being an audio guy, the first thing I wanted to do was play some music. I was very happy to find that the Link 500 has Spotify built-in, especially since that is my streaming service of choice! I started out easy by asking Google to play “some Diana Krall” while I was cooking dinner. No problems there. I then followed that command by asking it to play a specific song – Midnight Rider – off of the Gregg Allman album Laid Back. The Link 500 handled that and similar request easily. The sound is very, very nice. I had previously experienced this kind sound in my den with some of my small to midsized bookshelf speakers (including JBL's). The Link 500 replaced those speakers and went on to fill my large living room (400 sq ft) with excellent sound without taking up near as much space. The music playing filled the den with clear sound at even low volumes without being overbearing. The bass was smooth and the highs were crisp and clear without distortion. I had previously relied on a ZAGG Origin Portable Bluetooth Speaker to stream music in the den and its smaller version in the master bathroom. Those speakers are not voice activated however and they do not offer a mobile interface. Listening to the Link 500 and the larger ZAGG for ten minutes, I realized that I was more at ease with the sound produced by the Link 500. Even the most over-the-top songs (think Brass Monkey by the Beastie Boys) were enjoyable even at high volume. The Link 500 is the first voice activated speaker I’ve used. The only thing that comes close was Siri on my iPhone. I thought that speaking to the speaker would be difficult as, in my limited experience, voice activated products leave a lot to be desired. That was not a problem with the Link 500. 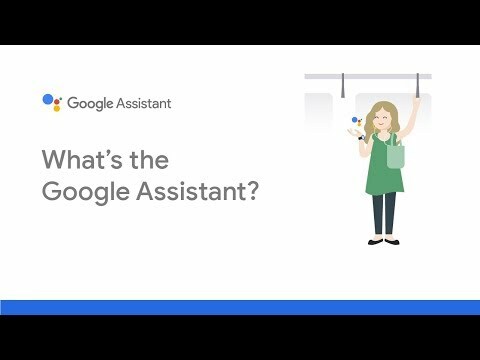 After its initial voice training, it recognized my “Hey Google” commands every time – whether shouted over the railing upstairs to almost whispering it in the same room. I was impressed! Other than my requests to play specific pieces of music, I typically used the built-in Google Assistant to make requests about the weather and to set timers. I did put it through its paces by requesting such things as: the temperature of the dark side of Mercury, the distance to a certain address in a distant city and even the meaning of the initials JBL – which it answered perfectly – James Bullough Lansing! To sum up, I find that the JBL Link 500 is a good-looking speaker and is very simple to operate. It also has excellent built in capabilities and when it is playing music it is really impressive. In other words, you have to get one! Will you have to plug this into the wall or is it fully wireless? That's correct - it has to be plugged into the wall for utilization. Only the Link 10 and Link 20 are wireless in the Link Series speakers. can this JBL Link 500 to make phone call / take phone call? I have the JBL Link 500 and when I ask it to make a call from the contacts or otherwise it states &quot;Sorry, I can't make calls yet&quot;. We expect the alarm feature to be available on the LINK series speakers by the end of April. Can this speaker connect to wireless microphone? Or any JBL products include wireless mic? No. 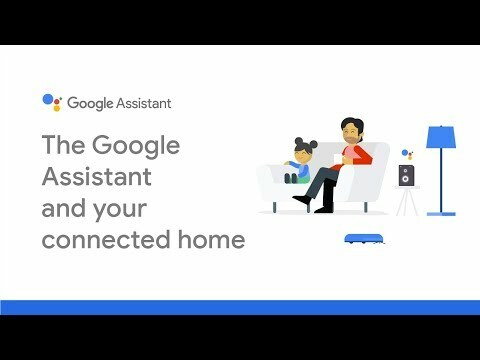 The Link 500 can only connect to Google Home assistant products via the Google Home App. Is this battery operated or direct output? The Link 500 does not have a battery and requires to be plugged in to work. Hi! As of this moment, the JBL Link 500 is not capable of connecting to other speakers. 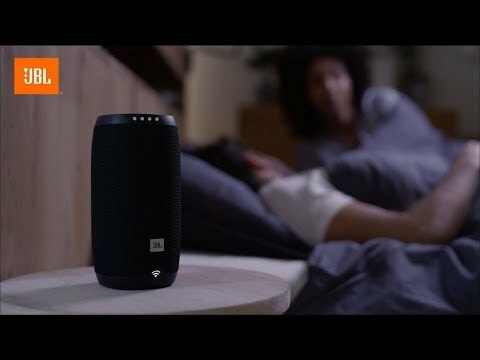 Can JBL Link series play music from my own library of digital music over my home wireless network? If so, is there capability to control Link speakers in different rooms or zones, even playing different playlists in different rooms at the same time? Yes, you can play music from your own library of digital music over your home wireless network! The best way I found it do it is by using apps on my Android phone or tablet. If you have an iPhone I don't know if these apps are available to you or not... probably are. The two best apps I found to do this flawlessly, are either &quot;Hi-Fi Cast&quot;, my favorite, or &quot;Pulsar+&quot;. They both look about the same except making playlist, like I do, is a lot easier in the &quot;Pulsar+&quot; app. I bought both of these apps because I couldn't decide which one I like the best. They have free versions of the app to try it out but believe me you'll end up buying them because of the ads, plus more features open up after you purchase... they're worth every cent! After using both, &quot;HiFi Cast&quot; is the one I use exclusively. It has great gapless playback and plays my flac files perfectly. Creating playlists in &quot;Hi-Fi Cast&quot; is a little challenging but luckily I found out, accidentally, that when I created playlist in &quot;Pulsar+&quot; they showed up in my &quot;Hi-Fi Cast&quot; app which I thought was great because I use a lot of different playlist and then just shuffle them. 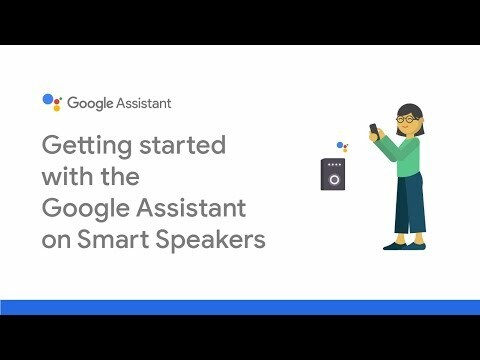 As far as controlling your different speakers in different rooms you can do all that on the &quot;Google Home&quot; app. First, you have to create a Speaker Group and name it. Once you do that, back out of that setup and you'll see the new Speaker Group you created on the same page that shows the icons of all your speakers... at the bottom of the page, I think. Enter into that Group and you'll see each speaker in your newly created Group listed separately from each other. Each speaker will have it's own slider bar for volume so you can control each one independently. One of the best features of the app, IMO. As far as playing different Playlist at the same time, that's something I haven't tried yet. Best thing you can do is just experiment. Don't forget Google searches your friend. That's how I learned everything I just told you about. Hope this helps! How do I adjust the bass and treble levels on my JBL Link 500? I am hard of hearing and it is a birth defect. So parts of speech I cannot hear unless it is turned up.